Ever heard "less is more"? Well, when it comes to the Santa Cruz Bicycles Chameleon C SE Reserve Complete Mountain Bike that would be an accurate statement in more ways than one. For the first time ever the "tin lizard" is offered in a carbon frame, taking mountain bike minimalism to a whole new level. Boasting a signature carbon C frame with Boost spacing and burly carbon wheels, this light weight trail slayer has a super stable foundation for all sorts of bike adventures. Add in a SRAM Eagle drivetrain, 120mm of Fox front travel and water bottle/pack mounts and this steed just jumped to the top of the versatility list. 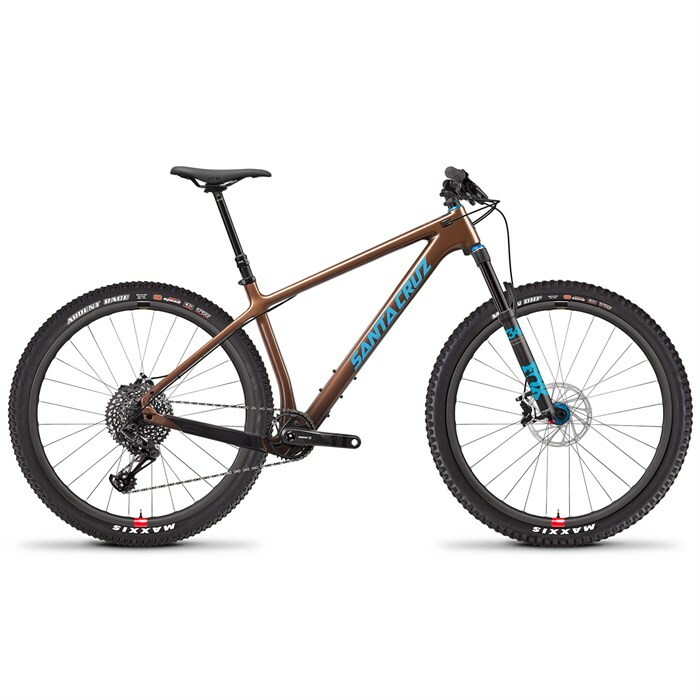 Quit compensating with all that suspension and take it back to the basics with the Santa Cruz Bicycles Chameleon C SE Reserve Complete Mountain Bike. Santa Cruz Reserve 27 Carbon Wheels  Whether it's a sunset lap with friends or a race run against the clock, a broken wheel ruins any ride. SC set strength and impact resistance as their highest priority, but strength doesn't have to mean uncomfortably stiff. Their wheels are compliant enough to avoid that harsh "wooden" ride that gives some carbon rims a bad name offroad. Santa Cruz only makes offroad bikes, so they have the privilege of being able to focus purely on the mountain bike experience. Everything from the thickness of rim beads to external spoke hole reinforcements comes purely from their experience of knowing what riders need at every level—from international racing to your local trails.